The Autism Society Philippines Diliman Chapter brings you a seminar relevant to many parents with adolescent children on the autism spectrum on 24 September 2016, Saturday, 9am at the ASP National Headquarters. There is more to learn about sexuality of persons with disabilities, as common perception is often inaccurate or inadequate. People incorrectly believe that persons with autism are sexually immature or do not experience sexual attraction. Even parents are slow to recognize that that their children have typical sexual needs. The need for repetition and their tendency to inflexibly adhere to routine may result to the development of ritualistic sexual behaviors among PWAs. Because of their sensory fixation and echolalic speech, some persons with autism may utter sexual terms which appear out of context to others. This seminar will help participants develop a coaching approach to acknowledge the PWAs sexuality, to allow them to express their sexual needs in a socially-acceptable context and to eliminate aberrant sexual attitudes. This seminar is best for parents, teachers and care-givers. Another seminar for PWAs will be arranged soon. Desiderio “Dex” Camitan IV finished his Masters in Education major in SPED in UP-Diliman. 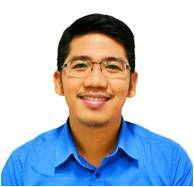 He is currently an Assistant Professor at Makati Medical Center College. He is also a Behavior Coach at Empty Chair Psychological Services and an Associate at MindSet. He recently presented his research on ‘Sexuality and Inappropriate Behavior of Adolescents with Autism’ at the International Congress of Psychology, in Yokohama, Japan on 24-29 July 2016. There will only be 60 slots available. Please deposit your payment to Account Name: Kaakibat ng Autism Society Philippines QC Credit Cooperative, Account Number: 0431-0159-78 Bank of the Philippine Islands West Delmonte Branch Quezon City.No refund will be given to participants who do not show up on the date of the seminar. For more details, please call ASP Diliman Chapter at 0922 847 2776 or Ms. Baby at 0922 855 8279 .